Visibly improve the facial contour with the NuFACE Mini Facial Toning Device; a petite yet powerful device that boasts the same benefits as the standard microcurrent treatment but is ideal for on-the-go. FDA-cleared and clinically tested, the portable device is designed to deliver similar results to a face lift in the form of a painless and non-invasive at-home treatment. NuFACE Mini effortlessly glides over skin, stimulating the large surface areas of the face, as well as the small contours. The innovative device visibly tones the facial muscles, evens skin tone and reduces the appearance of fine lines and wrinkles. Safe and effective for all skin types, NuFACE Mini leaves the complexion looking youthful and visibly supple with continued use. Step 1: Cleanse the skin of any makeup, oils and impurities with your favorite cleanser (oil-free cleansers work best). Turn on your device and toggle the appropriate button until all of the blue lights are illuminated (Trinity) or set to the far right (mini). This is the optimal microcurrent setting for everyone. Intensity can be adjusted for comfort at any time. 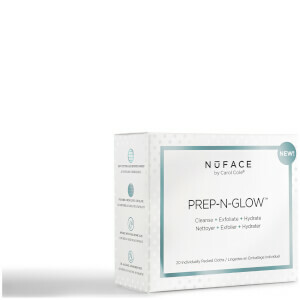 Step 2: Apply your choice of NuFACE Gel Primer in a mask-like layer in sections as you treat, beginning with the cheek. Skin should appear wet, and you should feel little to no sensation from the device. 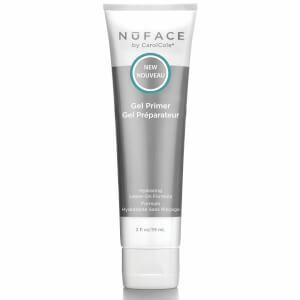 Tip: Try applying a NuFACE serum under your Gel Primer like the PROs do! Step 3: Lift! Place both spheres on position one and glide to the lower ear until the beep sounds. You will hear the audible treatment timer beep every five seconds. Move to position two and glide. Move to position three and glide. Return to position one and repeat the facial lift treatment two more times. Next, apply the gel primer above the left brow. Place both spheres on position one and slowly glide to position one until the beep sounds. Move to position two and glide. Move to position three and glide. Return to position one and repeat the sequence two more times. Lift half of your face and compare the treated side of the face to the untreated side of the face, and look for skincare improvement in the brow, cheekbone, and jawline areas. Now apply the gel primer to the other side of the face and continue the facial-lift treatment as described above. I bought this product a couple of times, for me and my friends. We all love it. Plus the service here is perfect. I’ve been using my regular Nuface device for nearly a year now and LOVE it! I find that the best results are achieved by using it consistently 5-7 days per week. For a recent two week international trip where we were given extremely limited luggage weight, I decided to give the Mini a try. The Mini is a fantastic alternative to the standard Nuface and worked very well. My only complaint is that there isn’t a way to use the Elle attachment, but the Mini worked extremely well over all. I highly recommend the Mini for travel. This nuface mini is my best friend. I do the 5 minute treatment several times a week and am loving how good my skin looks. 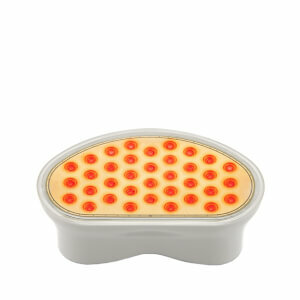 It's really easy to use and my skin feels firmer. It's in a perfect size for those who love traveling, very handy to carry when you have limited space in your luggage. I purchased the mini about a month ago and have been using it just about everyday. I have followed the directions and also watched video instructions. So far, I've not really seen any difference in my skin. I am disappointed with the lack of results that others have claimed they've had. I may contact the company to ask if I'm not using it correctly. I've seen no significant "lift" to my jawline or anywhere for that matter. I intend to keep using my mini with the hope that I will eventually see pleasing results. I am in love with my Nuface. My skin felt and looked tighter and smoother after just one use. I've been using it for a few weeks now and I couldn't believe my eyes. I also love how compact it is...so easy for travel! This is my new go-to product.